Are you planning to start an Executive MBA program and you're looking for the right direction for you? 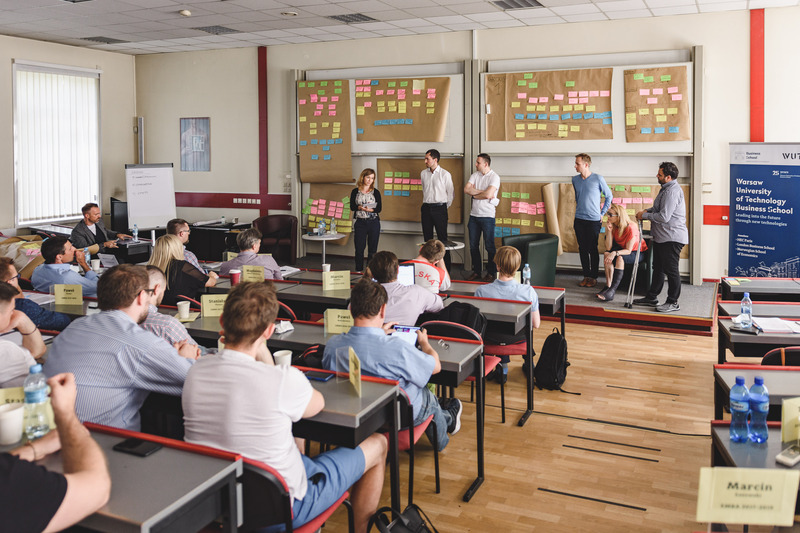 Join us for the webinar on March 26, 5:00 P.M.
Warsaw University of Technology Business School is among the best Polish schools offering high-quality managerial education. The School has operated for over 27 years. It has regularly been listed at the top of the national rankings and is continuously improving its position in international rankings. The aim of the School is to educate today’s managers who clearly understand the present world as well as their own role as business leaders. Our mission is to cultivate responsible leaders who are able to guide others and who continuously work on their own knowledge, skills, and talents. Our mission is to cultivate responsible leaders. Modern economy and society are in need of real leaders - leaders who are capable of planning strategically, acting responsibly, solving issues effectively, taking the calculated risk and sharing their enthusiasm with others. They should develop their managerial and entrepreneurial skills and have a deep insight into the economy and their own organization. The leaders also need to be open-minded, flexible and be able to adjust to the changes taking place in their environment. WUT Business School moulds people who understand others’ points of view, persuade and lead other people. Warsaw University of Technology Business School was created in 1991 as a result of a bold experiment. It was established jointly by four institutions: the best Polish technical university, Warsaw University of Technology, and three prestigious business schools from Western Europe - HEC School of Management (Paris, France), London Business School (UK) and NHH Norwegian School of Economics (Bergen, Norway). Therefore, from the very beginning, WUT Business School had a truly international character, which has been successfully sustained thanks to the continuous involvement of the founders. For many years, the School has been a member of European Foundation for Management Development created by leading European management schools. Our model is oriented towards an understanding of the modern economy’s and society’s complexity, relationships between various areas of activity as well as understanding the challenges that leaders have to face. Independent teams, consisting of Polish and foreign scientists and business practitioners, make sure that the curricula remain of the highest quality. We pride in providing education that meets our students’ expectations. Apart from the quality of education, our MBA programmes' graduates' network is the greatest advantage of WUT Business School. Our alumni are spread all over the world, hold high positions in organizations and oftentimes, have developed their own enterprises. Thanks to a cooperative alumni network, our graduates create unique business opportunities.